Signs Banners Online provides factory direct, custom banner and sign printing services at unbeatable prices, making us the perfect choice for local New York boroughs looking for amazing quality banners and signs at reasonable prices. New York, getting custom-sized banners and signs printed at reasonable prices without being online isn't the easiest thing to do. That can be a major problem for boroughs with limited personell dedicated to branding and marketing themselves and borough benefits. At the same time, they can't afford to go with just any supplier because if quality suffers, so will their reputation and popular opinion. After all, they're under so much scrutiny, the last thing they can afford to do is waste their marketing campaigns. And that's precisely why so many New York boroughs love working with Signs Banners Online. We offer highly competitive prices because of our factory direct services. There are no middle men to up the price and we have no hidden agenda. We offer great prices because we prefer working direct with clients. 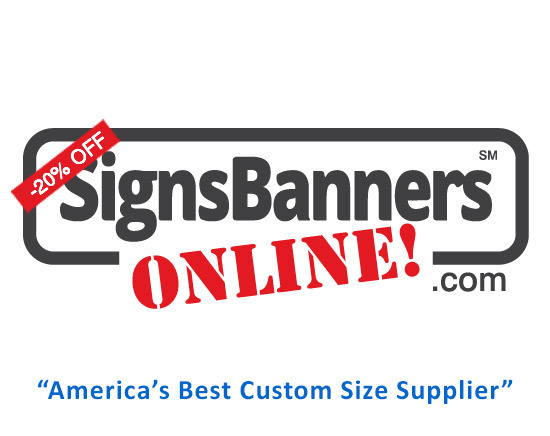 We don't need a middle man to sell our services because we know our business and that's to produce amazing quality, custom size banners. Considering we've printed over 10,000 banners and that over 90% of our orders are custom, you can be certain we know what we're doing. And when we say we deliver great quality, we mean it. They aren't just empty words. We have stringent quality standards which we enforce through over 30 inspections throughout the production process. Every banner we print is checked. That's right every banner has to pass multiple inspections, whether the order is for one banner or a thousand. Guaranteed quality, highly competitive prices, easy ordering and help whenever necessary. What more could a borough want? Not much considering that so many New York boroughs come back to use our services on a regular basis. Calling All New York Graphic Designers! We don't just offer our services to New York's boroughs, though. Our main goal is to help freelance designers and small graphics design firms in New York become more competitive and win more business by enabling you to provide your clients with top quality, competitively priced, custom banner and sign printing services without having to invest a fortune in equipment and space. So, don't let the boroughs be the only ones taking advantage of our services. Start earning more money today by offering your clients prints along with your design services and watch your customer base use you for their signage supplies. 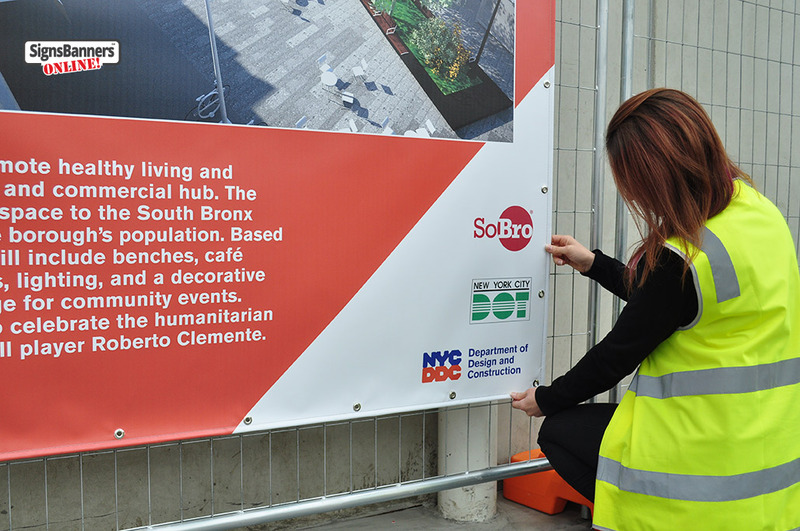 They know they can count on us to deliver excellent quality, custom banners and signs consistently and at incredibly competitive prices, which is why more and more New York boroughs are turning to Signs Banners Online for their printing needs. BRONX NY > Another reason New York boroughs have been working with us is that they love the different ordering options we offer. They can either order direct, without even creating an account, or get all the help they need from our team of professional graphic designers. We provide all the tools they need to upload their existing designs, order their banners via a simple-to-use calculator that allows them to choose material type, finishes, hemming, sizing, quantity and more, and then put the job into the factory queue. They can then track their order throughout the factory and all the way to their door, including during the FREE delivery process. So, boroughs can be in control when placing their order. They don't even have to talk to anyone if they don't want to. The entire ordering process is automated and no interaction is required. They don't even need to sign up for an account! For those boroughs that don't have existing designs or the personnel to handle the graphics or ordering process, our professional graphics design team is always on standby to assist. Whether they simply need someone to help them with the setup and ordering process, or they require a whole package, design included, our team is ready to help. Our team designs, composes, prepares and uploads the artwork for approval. Subsequently, it goes into production and, after multiple inspections to ensure excellent and consistent quality across the entire order, we ship the banners out to the borough. If you're not convinced Signs Banners Online can help you as a freelance designer in New York, then check out all the other designers who are succeeding too!